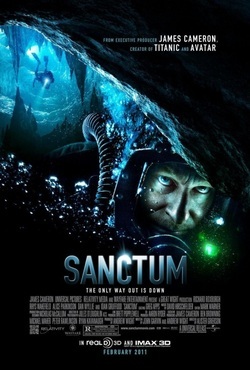 Synopsis : Master diver Frank McGuire has explored the South Pacific's Esa-ala Caves for months. But when his exit is cut off in a flash flood, Frank's team - including 17-year-old son Josh and financier Carl Hurley - are forced to radically alter plans. With dwindling supplies, the crew must navigate an underwater labyrinth to make it out. Soon, they are confronted with the unavoidable question: Can they survive,.. It was a really Awesome Movie. Eye Popping Breath Taking 3D!!! If you have watched Poseidon. YOU HAVE GOTTA WATCH THIS MOVIE!!!!! !